This is for the Serious User who wants a setup with the BEST SIGNAL POSSIBLE! 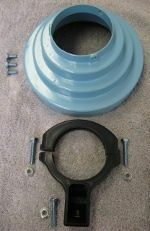 This unit is designed for using 2 C and 2 Ku LNB's. 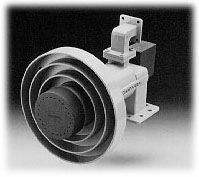 The Chaparral Bullseye II feedhorn is used in satellite systems equipped for reception of C-Band (3.7-4.2 GHz) and Ku-Band (11.7-12.75 GHz) satellite signals and is compatible with all LNBs designed for these frequencies. Simultaneous reception of both signal polarities is available for multiple receivers using a single dish. 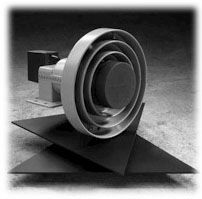 The adjustable scalar ring provides optimum reception and interference rejection with a wide variety of dishes. 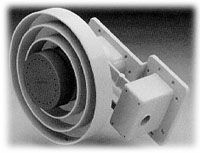 The Bullseye II feedhorn is used in many home and commercial satellite systems for reception of C-Band satellites used for the broadcast of entertainment television, and for the reception of Ku-Band and hybrid (C/Ku) satellites used for network, business, entertainment and educational television. It is equipped with C-Band and Ku-Band orthomode feeds, allowing simultaneous reception of both signal polarities by multiple receivers in the system. 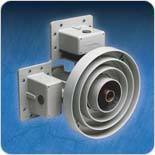 This makes the Bullseye II feedhorn well suited for use in cable television system as well as in hotels, hospitals, schools, and other locations using multiple receivers for reception of C-Band and Ku-Band signals with a single dish. Size 8.625" x 8" x 5.5"